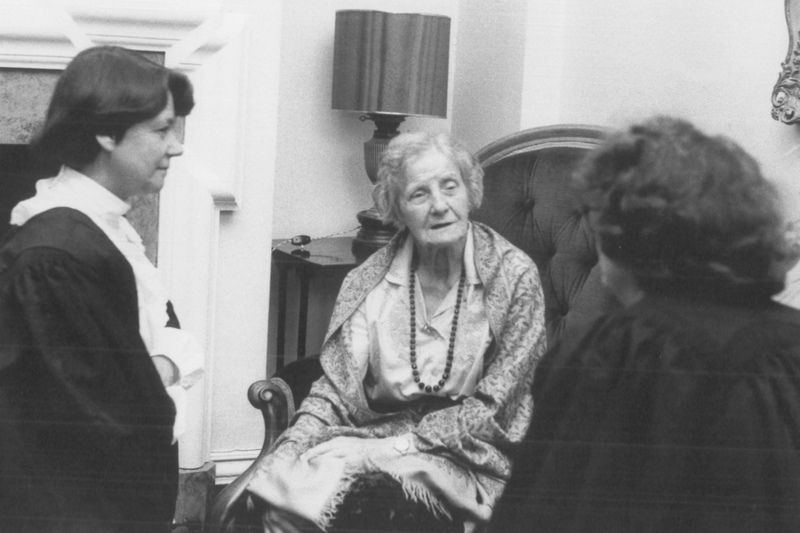 Eileen Gibbs on a visit to Newnham in the 1970s. Fellows were invited to tea at St Albans and Eileen took great pleasure in attending the annual Gibbs Dinner, having a tour of the College gardens and hearing about each new Fellow’s work. She loved to receive postcards from Fellows on their travels resulting in cards with research updates reaching her from many far-flung places. The research projects supported by the Fellowship have involved travel to most parts of the world, and investigation of a large range of topics.